If you're young ones a true Irishman, show pride and passion with the New Balance Republic of Ireland 17/18 Away S/S Replica Football Shirt. 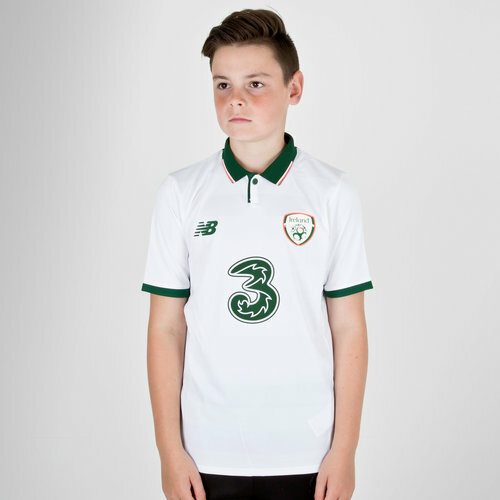 This official short sleeved away shirt of the Republic of Ireland national team, comes in white touches of green for a traditional Irish feel. 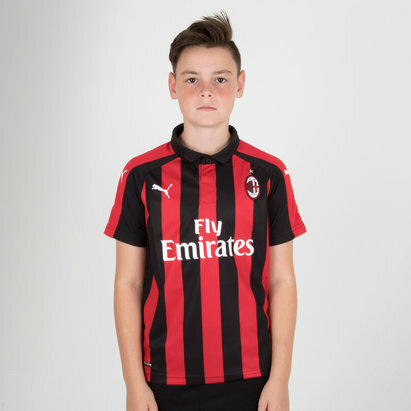 The team emblem and New Balance logos are heat pressed onto the fabric and the shirt features a smart button up folded collar. 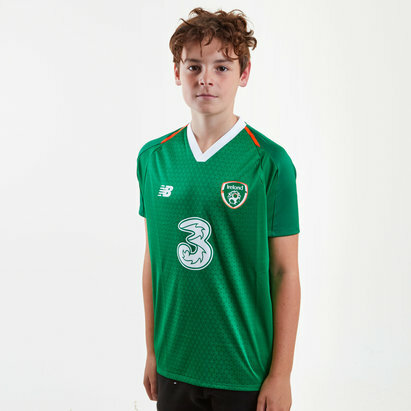 Made from 100% polyester material, this Republic of Ireland away jersey features NB Dry technology which is designed to help keep the wearer feeling drier and more refreshed during exercise by wicking sweat away from the skin and quickly drying off. Ventilated mesh on the sides and at the back improves air circulation and cools the wearer down too.